Images taken through blue, green and red filters with the Cassini spacecraft wide angle camera were combined to create this view. 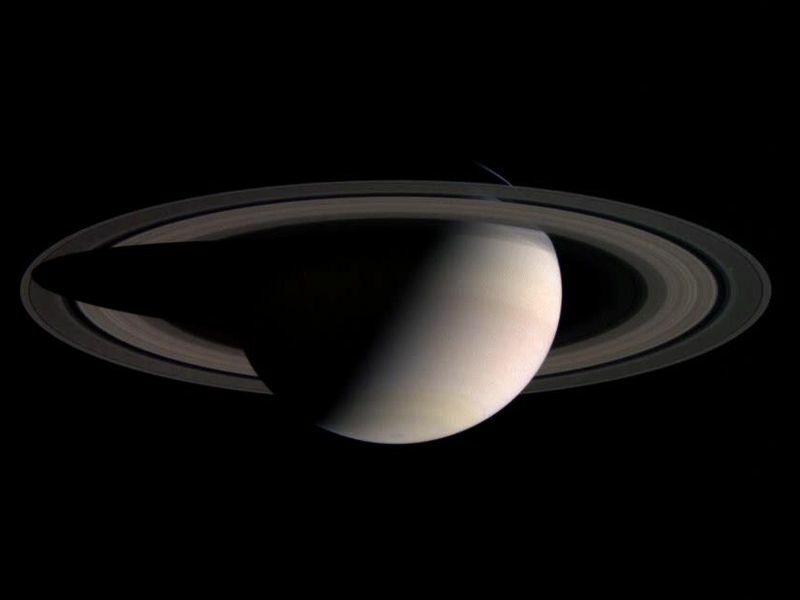 The images were taken on July 17, 2004, from a distance of about 5.8 million kilometers (3.6 million miles) from Saturn. The Sun-Saturn-spacecraft, or phase angle of the image is 93 degrees. The image scale is 346 kilometers (215 miles) per pixel.